Y our business is growing, the processes get more complex and at some point it becomes difficult to deny the necessity of finding some business tool or app that could give your business a boost by optimizing those processes. After having somewhere like 8 test-drives (trials) we have found the one we decided to use. To be honest we were really excited and made a decision to run into a partnership with this company. This is the case, when you are happy to recommend a product, because you absolutely love it. So, the product is ONLYOFFICE. ONLYOFFICE is a cloud business service that enables you to manage projects, customer relations and documents in one place. So, the cloud B2B tool-set includes the different modules like Projects, CRM, Mail, Documents, Community and Calendar. Originally started as Project Management tool for internal use (according to insider’s info) it has grown up to a complex business solution with cool HTML5 based online document editors (just like the Office365, Google Docs, but we found it more native-like probably…). 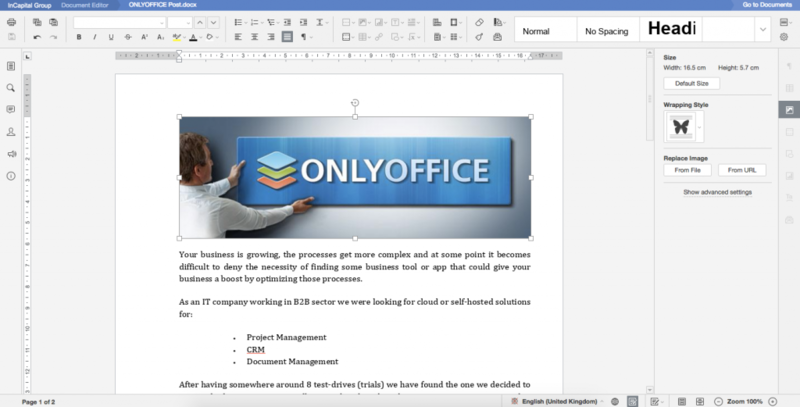 The Office pack includes Document, Spreadsheet and Presentation online editors. But let’s get back to functionality stuff. What we really were looking for, was a strong Project Management and CRM service. What we really liked in ONLYOFFICE was a minimalistic UI, still providing a deep project structure and clear functionality implementation at the same time. Basically, we take every complex contract as a separate unit in Projects module. Then we split it into milestones based on the project stage, timeframe or department involved (Planning, Marketing, Server-related work etc). And after the stages have been defined we are setting up tasks to be assigned to responsible employees or contractors. 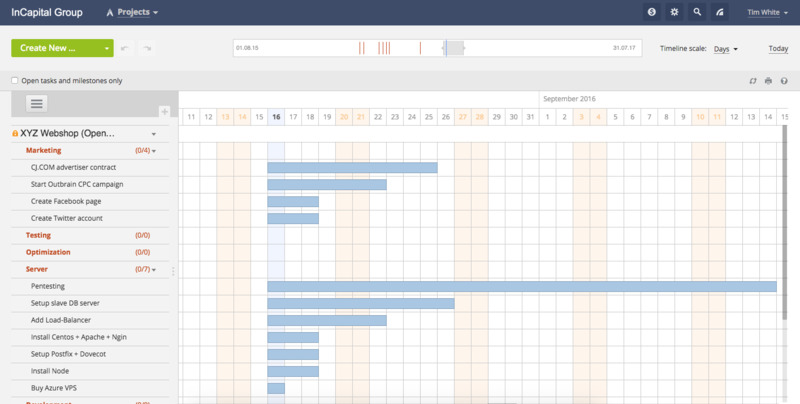 Additionally, there is a Gantt Chart, which is another nice way to build your project schedule and visually judge its progress. 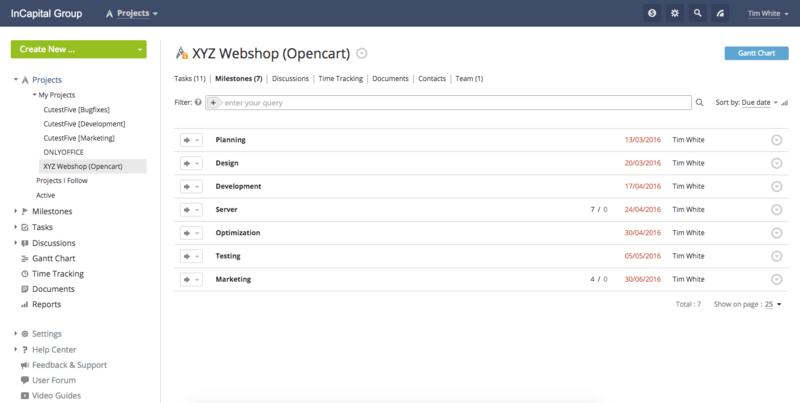 Every single task has its own sections to enable project team collaboration. You can share notes and documents related to this particular tasks, which we find very useful. Special thanks for ONLYOFFICE Editors. Our team members are working on different operating systems plus we don’t have to take the costs of traditional office packs. These editors are absolutely awesome. Based on HTML5 canvas they provide a complete feeling of nativity so you easily forget you are editing complex docs right in your browser without installing any additional software or plugins. Well done! ONLYOFFICE provides full-functional Document, Presentation and Spreadsheet editors that support traditional document formats and can open, save and export files without any conversion issues. All documents stored with ONLYOFFICE can be shared with the team or people outside the portal in two access modes: read-only and full access. The project/task docs are accessible for all members participating in this particular project or task. As a multi-service group working in different industries we needed a CRM that would ease our life in terms of communication with our clients. We also needed to distinct leads based on the service of their interest. For that purpose we utilize ONLYOFFICE CRM. First thing we had to do was import of our existing contacts. 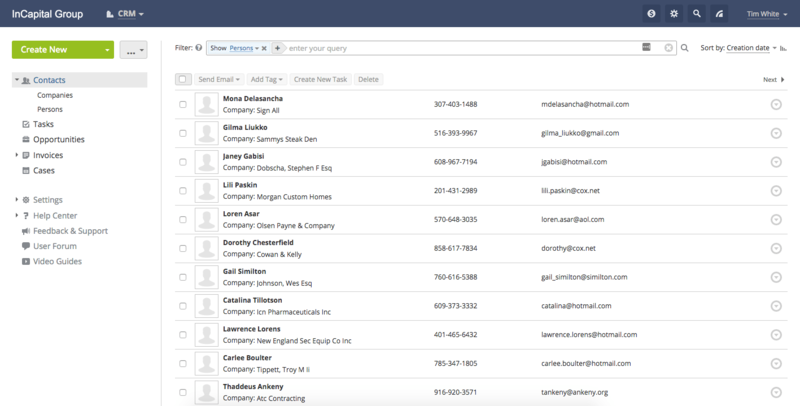 It wasn’t an issue since all we had to do was exporting our current contact list in CSV format and then matching the file columns with CRM module fields. Easy! 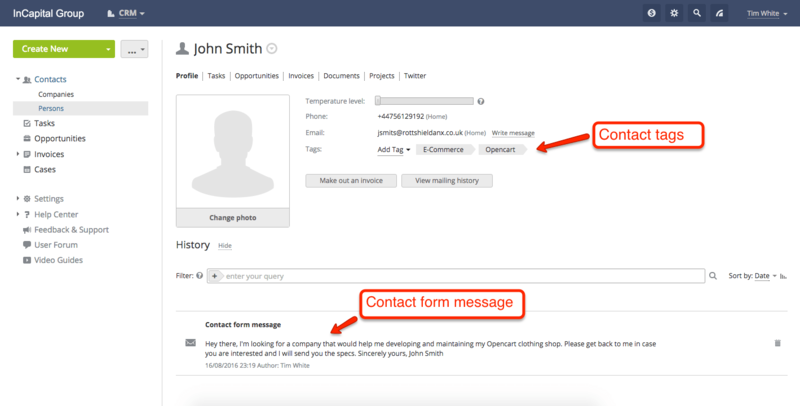 Then we had to take care of future leads coming via our website’s contact form. Since we have a contact form on every single page (as a footer part) we wanted to assign different contact tags depending on the page subject. As an example, we are assigning a contact tags “E-Commerce” and “Opencart” in case it comes from this page. If it comes from Company Formation landing page we assign tags “Company formation”, “Business” and “Business Banking“. We decided to use ONLYOFFICE API. We’ll cover another aspects and ONLYOFFICE use cases in our future posts. P.S. If you are a hosting company ONLYOFFICE has something to offer you. Did you find our posts useful? Stay tuned!